Getting all that information from your amp to your speakers is no easy feat, but the best cable will let your system really show what's capable of. Use a dud speaker wire and you'll know about it the second you start up your system. But buy something appropriate from this list and you'll find out where your money went. Very very few are the budget systems that don't feel the benefit of the C-Screen's talents. 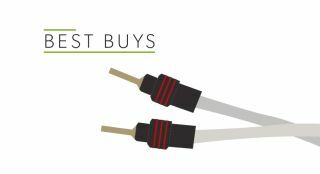 Chord's affordable speaker cable recently waltzed away with its second What Hi-Fi? Award in as many years. It helps your system perform at its most musical. Plays nice with all sorts of systems, and brings out maximum detail while avoiding brightness. You'd better have spent a fortune on your set-up - but, if you have, you need to hear it with Mavros involved.